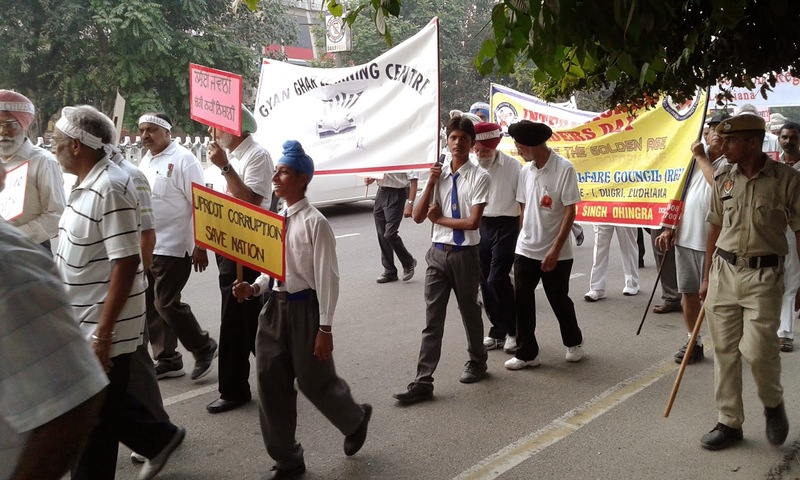 This October, the students of Gyaan Ghar joined the Senior Citizens' Welfare Association of Ludhiana in their annual March for the International Day of Older Persons, holding signs bearing slogans such as "teach me your experience," and "we want to serve you." Gyaan Society President Amrit Kaur is also Vice President of the local Senior Citizens' Welfare Association, and was keen to involve the students in this display of respect for their elders. 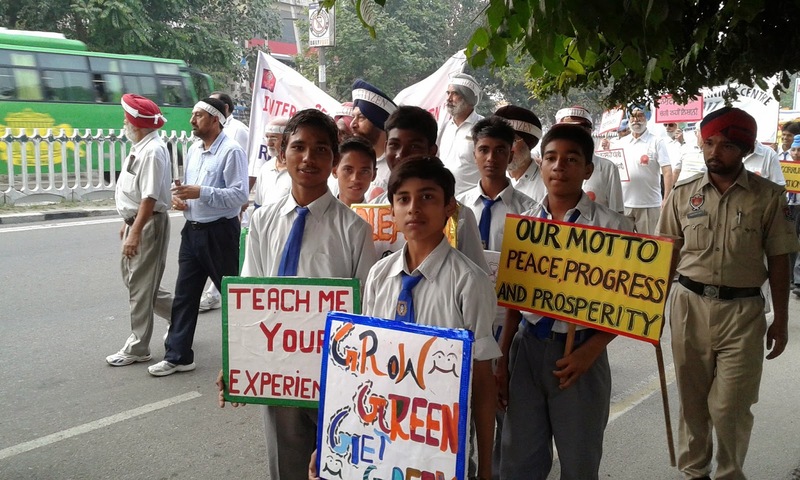 Students led the charge on this two-mile walk from Park Plaza Hotel to Punjab Agricultural University, garlanding the seniors at the starting point of the walk and proudly displaying their "Gyaan Ghar Learning Centre" banner at the front of the line.